Looking for a reliable and respected tile and grout cleaning company in Adelaide? More and more homes have hard tile floors. These floors are durable but require professional care to maintain their beauty. Bensons Cleaning Services are the TrustedCleaner recommended tile and grout cleaning company in Adelaide. Bensons Cleaning Services are a locally owned and operated AWARD WINNING company with a reputation for providing top quality service. 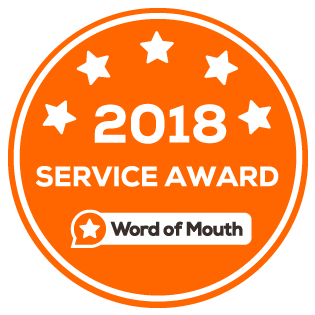 They have been awarded with the coveted WOMO service award for 5 years in a row, and have over 80 5-star reviews on Google, TrueLocal and ProductReview.com.au. Bensons Cleaning Services really are a company who stand out from the crowd! As well as bringing your tiles and grout joints back to their original condition, they provide sealing services to keep your floors looking new and prevent future discolouration. Over the past 13 years they have established a great reputation with businesses and home-owners throughout Adelaide and continue to focus on honesty, quality and customer satisfaction. Call Bensons Cleaning today and you’ll discover why we are proud to recommend them as the top local Adelaide tile and grout cleaning company. If you want to deal with a company who cares about their customers, has developed a strong reputation, & who takes pride in their work please contact one of the TrustedCleaner Approved Adelaide Tile Cleaning companies above. 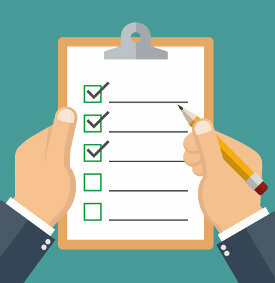 Each of these companies has been checked, vetted and verified, and only the best businesses make the grade. Masterclass Cleaning have over 10 years tile and grout cleaning experience, and are able to clean, restore and protect all types of tiles and grout in Adelaide and surrounding areas. Tiles are cleaned using a powerful truck mounted high-pressure cleaning system, which ensures deep down dirt, marks and grime are fully removed. They are then sealed using a professional-grade sealing agent. Masterclass Cleaning are commercial specialists and provide an after-hours cleaning service for businesses to ensure no disruption to their normal operations. All work is covered by a complete satisfaction guarantee and all staff are fully trained and insured. Call today for a friendly chat or to organise a free no-obligation quote. Please research each company carefully before making your decision or call our recommended provider above. Steamatic in Adelaide is able to clean hard surfaces such as ceramic, sandstone, marble, terracotta, granite and slate tiles. They also provide grout cleaning and sealing. Steamatic use a high pressure water and extraction to clean dirt and grime away without harsh chemicals, odour or mess. O’Shea’s provide commercial and residential tile and grout cleaning to all areas of Adelaide and the suburbs. They claim to bring your tile and grout back to life. In addition to regular cleaning services they are able to apply a penetrating sealer to prevent discolouration in the future. Adelaide Cleaneasy is the tile and grout cleaning company that prides itself on doing the job right every time. They are so sure you will be happy they offer a money back guarantee. Adelaide Cleaneasy will restore your tile and grout using environmentally friendly products with no harsh vapours. Specialists in tile cleaning, stripping, cleaning, and minor tile repairs. Grout cleaning, sealing, recolouring, and re-grouting services available too. If you need a free quote or advice on cleaning or sealing old or new floors you should call Tile Cleaners. They use specially developed cleaning solutions and van mounted equipment to make your floors sparkle again. 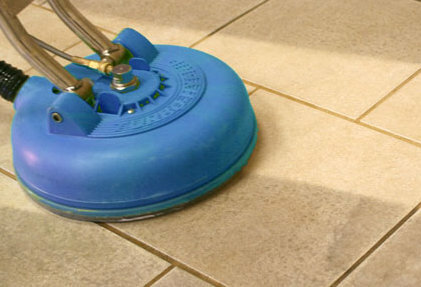 Priceless Cleaning in Adelaide provide tile & grout cleaning, and sealing services. They use high-powered truck mounted machines operated by trained employees to achieve a quality result. Adelaide Tile Restoration provide an extensive tile cleaning and restoration service. They use rotary scrubbers and specialist chemicals to clean, restore and protect a range of tiles and other types of hard floors. Looking for Tile Cleaning in Another Location? Take a look at our recommended providers in Sydney, Melbourne and Brisbane.